Congratultions Colin for 3rd year as Top 10%! & Greg for 31 Years at top 10% ! 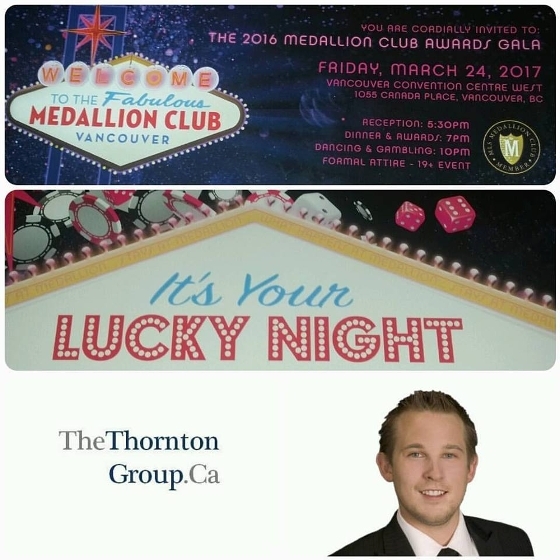 Colin's 3rd year in a row invited to the Real Estate Board of Greater Vancouver Medallion Club Awards Gala for being in the top 10% of all Greater Vancouver Real Estate Board Realtors! Wahoo ! I have a little ways to make to go to catch up to Greg who has been top 10% for the past 31 years in a row !